We live in very confusing and dangerous times. The lure of the world, the flesh and the devil are always there. Our Lord asked: "what doth it profit a man to win the whole world, but lose his soul?" It is indeed a sad drama to see Jason Kenney, surrender to the homosexual juggernaut. Please pray for Kenney that he comes to his senses and rejects this evil. One thinks of the priests - Fr. Kenyon and Fr. Martens - at St. John the Evangelist parish in Calgary, where I would see Kenny, when in Calgary. In season and out of season these two marvelous priests preached the Gospel, loyalty to Christ and His Church. 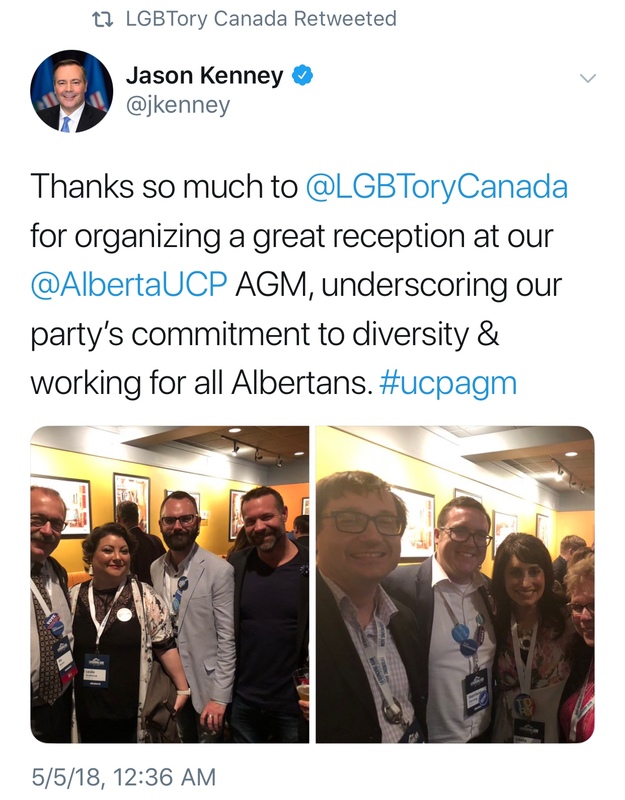 How heart broken they must be that Jason Kenney has genuflected before the idol of the "LGBT" movement. LGBTory is an evil, anti-family, anti-Christian movement that, with the takeover of the United Conservative Party of Alberta, marks the complete conquest of what was left of "conservatism" in Canada. Look for things to get much, much worse in our beloved Canada. 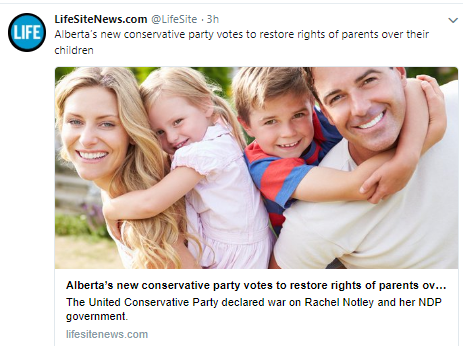 Albertans: do NOT vote for the UCP in the next election. Do NOT waste your vote for a party that has sold out to the "LGBT" lobby. Do NOT sully your conscience and soul. Stand up for Christ. Live a holy life. Friends, we must never put our trust in "princes", but in Our Lord Jesus Christ.